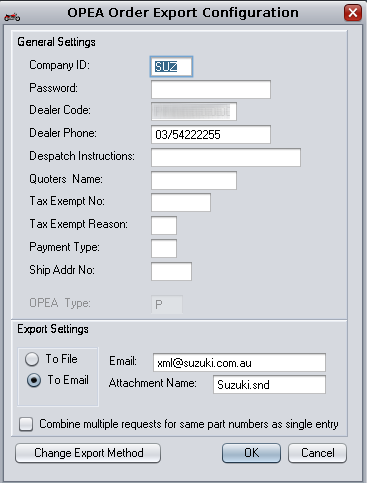 For Suzuki, exporting is a one step process as the order is emailed to Suzuki from c9. You need to contact Suzuki first to get permission to use this. Spares -> Orders -> Export. Select Suzuki order you want to export.